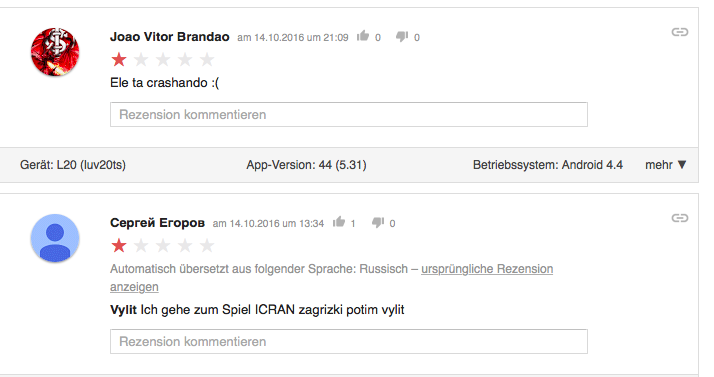 Android Game Crashes and frustrating 1 star ratings — Welcome to the GameSalad forum! I never get a crash review on iOS. 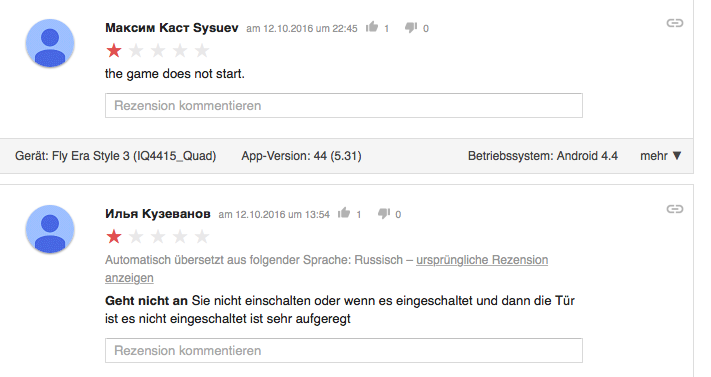 But on the Android version I am used to get atleast every 1/10 review a 1 star review reporting a crash on app startup. This number has gone up the last build of my game, created with the newest game salad build. Now I wonder if its maybe because I did reinstall the android sdk and really only installed what was required as told here on the game salad tutorial page. Before I had also installed multiple android sdk versions. In this build I get now plenty of 1 star crash reports in a row. Could there be a correlation or is it just a bad user experience streak (since it never supported 100% of all android devices/OS)? Gnight mate - may be completely unrelated, but what have you got to lose? thank you I will do this before creating my next update build. It cant harm to try it. i did make the update but its to early to say anything about it. It went live on google play yesterday. @unbeatenpixel yes generally less crash one star ratings since the last 3 days.